Mr. Murray has held a number of senior positions in the Canadian Forces and Public Service. Following graduation from Carleton University in 1968 with a Bachelor of Arts Degree, he served at sea in a variety of ships as a Navigation Specialist and Combat Control Officer. Seagoing appointments also included Executive Officer of HMC Ships COWICHAN, THUNDER and ATHABASKAN and Commanding Officer of HMC Ships CHALEUR, MIRAMICHI and IROQUOUIS as well as Commander of the First Canadian Destroyer Squadron. He also served in a variety of shore appointments including as Deputy Chief of Staff, Personnel and Training for Maritime Command, Director General Maritime Doctrine and Operations, Associate Assistant Deputy Minister Policy and Communications, Deputy Chief of the Defence Staff, Commander of Maritime Command and Vice Chief of the Defence Staff . His final position in the Canadian Forces was Acting Chief of the Defence Staff, from October 1996 until September 1997. Mr. Murray retired from the Canadian Forces as a Vice Admiral and joined the Public Service of Canada as Associate Deputy Minister of Fisheries and Oceans in November 1997. He was appointed Deputy Minister of Veterans Affairs Canada in August 1999 and Deputy Minister of Fisheries and Oceans from April, 2003 until August 2007, when he retired. Member of a two person external team reviewing the Enforcement Role of the Canadian Coast Guard, from January to July, 2011. In his voluntary activities, Mr Murray was a 2008/09 Trudeau Foundation Mentor and the first Chair of the Veterans Ombudsman Advisory Committee from 2008 until June 2010. He is currently Chair of the Board of the Public Policy Forum, Past President of the Nova Scotia Mainland Division of the Navy League of Canada and honourary Grand President of the Royal Canadian Legion. Mr. Murray was invested as an Officer of the Order of Military Merit in 1983 and was promoted to Commander in the Order ten years later. Following retirement from the Canadian Forces, he received the Vimy Award from the Conference of Canadian Defence Associations in 1998 in recognition of his contribution to the defence and security of Canada. In May 2001, he was invested in the Order of St. John for his work in support of Veterans and Canadian Forces personnel. He served in the honourary position of Colonel Commandant of the Chaplain Branch of the Canadian Forces from 2001 to 2006. In November 2003 he was awarded the Minister of Veterans Affairs Commendation for his contribution to the care and well-being of Veterans and their families. Mr Murray was awarded an Honourary Diploma from the Canadian Coast Guard College in 2010 for his work in support of the Coast Guard. He received the Association of Public Executives (APEX) “Citation for Public Service” Award for Excellence in 2011 and the Queen's Diamond Jubilee Medal and the RMC Clubs of Canada Birchall Leadership Award in 2012. 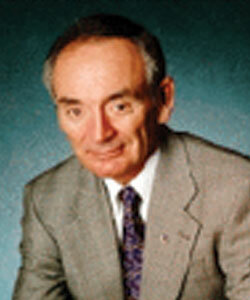 Mr. Murray was appointed as a Member of the Order of Canada in June, 2013.